Do Bougainvillea Plants Like Shade? Bougainvillea, which originated in Brazil, is now grown as an ornamental flower in Europe, Asia, North America, Australia and much of South and Central America. This hot-weather plant does best in bright locations and warm climates, but can be grown in cooler areas with a little effort. Bougainvillea prefers bright sunlight — at least 4,000 foot-candles of intensity, according to the University of Florida. Gardeners should plant in-ground bougainvillea in bright, sunny locations with rich, well-drained soil. In cooler climates, plant bougainvillea flowers in containers, but provide plenty of light. Shaded plants may grow poorly or not at all. Floridata recommends keeping bougainvillea roots crowded when container-growing, in order to produce more flowers. 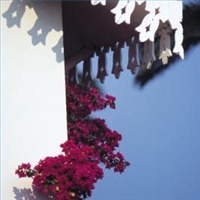 Bougainvillea requires warm weather, as well as bright sun. According to the University of Florida, nighttime temperatures should be kept above 65 degrees Fahrenheit. 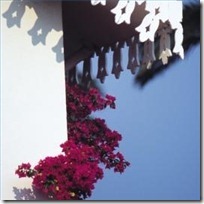 During the day, grow bougainvillea between 75 and 95 degrees. Bougainvillea does best in USDA Zones 9 through 11. Bring container plants indoors when temperatures drop below the ideal range.